January 1, 2019 marked the first date that new works have entered the public domain in the United States in twenty years. We are celebrating the occasion by printing a selection of the best books of 1923 on our in-store book machine, Paige M. Gutenborg. 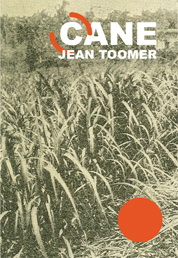 Jean Toomer’s Cane is an early masterpiece of the Harlem Renaissance and one of the most innovative examples of American modernism. At once a novel, a short story cycle, and a collection of poetry, Cane depicts the multiplicity of the African American experience through an intricate collage of literary styles. This facsimile is created from a scan of the 1923 publication, including the original foreword by Waldo Frank.